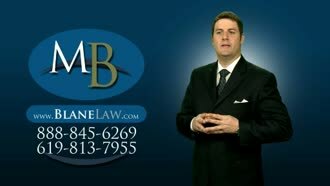 Are you injured and need a lawyer now? Are you not sure if you need a lawyer? Are you looking for info? 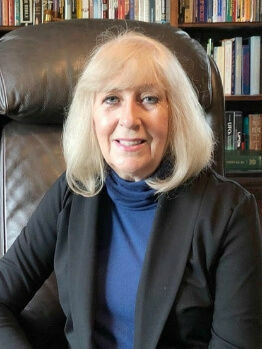 We have successfully handled thousands of personal injury cases in Southern California. We do not just represent injured folks in California against insurance companies, we also educate our clients on every step in the legal process so they understand what they will face in the future. 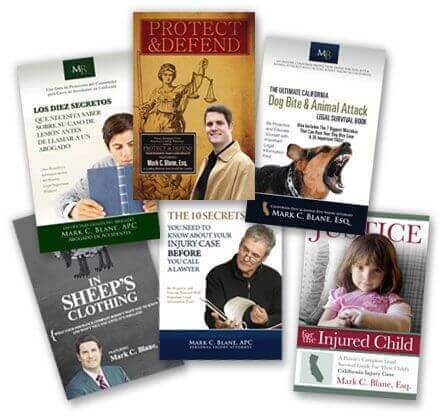 Mark C. Blane has written and published legal Help Books for injured folks in California available to you for FREE! These books are a great source of valuable legal information. They give you insider information on what you need to know before calling a lawyer, and this also includes insight the insurance companies would rather keep for themselves!!! Everything kind of got taken away in the blink of an eye. Mark was referred by a friend of mine when my dad had had an accident. My dad is an 81 year-old man.......The first time Mark met dad he was at the VA pallotive hospice unit. His knowledge of the medical field and the law just impressed me a lot. We just asked Mark if he would represent our case to take it on and handle everything for us. He really took the hard part out of dealing with the insurance companies, the personal injury, and really made it easy for us. There are no surprises when he is representing you and going through your case. I did not call him (Mark) right away thinking I could handle the process all on my own; I just started getting really stressed out. I was started to be afraid of driving, and getting anxiety. That is when I finally decided to call Mark. He met with me the very next day. He made me fell really comfortable. 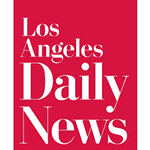 What makes your injury law firm so different from all the other San Diego accident lawyers out there? 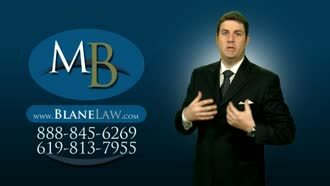 Blane Law Office has reached a prominent place in San Diego, Orange, Riverside and Imperial counties as a reliable, aggressive and successful legal team helping injured folks of collisions and incidents due to others violating well-known safety rules. 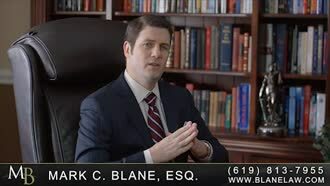 Mark Blane is not just a settlement lawyer, he is also a trial lawyer, and has argued injury cases to verdict in front of a 12-member jury. Not every lawyer taking personal injury cases has achieved this, and you need to ask your lawyer, do you have jury trial experience? 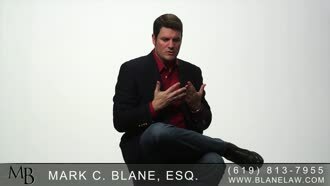 Mark Blane has been fighting for San Diego accident victims, and has successfully resolved thousands of cases since 1999, in either trial or pre-trial settlements, maximizing compensation for his injured clients. 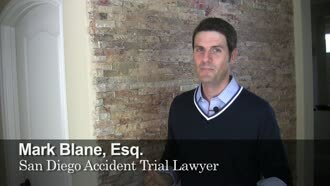 Mark Blane meets each client personally, not all lawyers do this. He doesn't send an associate member or paralegal to "sign up a client." Mark gets to know our clients as a person first, and a client second. This is important, so he knows who they are and how the injuries affect them and how they will come across as a witness for themselves. We have dedicated our practice to offering personal support to our clients which goes much further than a good knowledge of the local courts, federal and state regulations and past settlements. 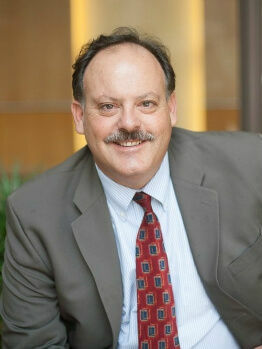 Mark Blane and his attorneys have dug deeply into the insurance companies' settlement practices and calculations, and into the detailed medical and financial consequences of serious injuries, including brain and spinal cord damage, and have aggressively fought for his client's rights for fair compensation. While we can't say we are the best San Diego accident lawyers around, no one can legally say this - we do an excellent job for each and every injured client we represent. We take deep pride in our legal work and go to extraordinary detail on each personal injury claim. 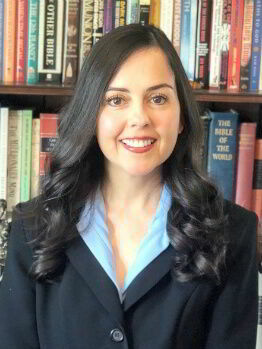 When you've been injured in a serious accident in San Diego or the surrounding areas, you don't want just an attorney out of the phonebook, you need a nationally recognized San Diego accident attorney expert who not only understands San Diego injury law, but has the experience and resources to make a real difference in your injury claim. 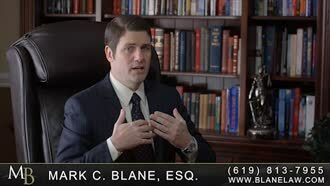 Mark Blane, and his San Diego accident legal team aren't like some of the other accident lawyers you may have met with or heard about on the radio or television. 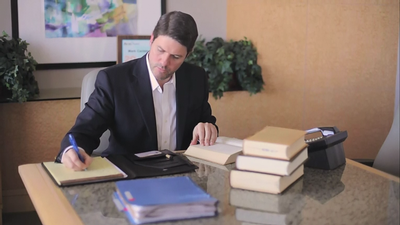 Our goal is to educate our clients and even those whose cases we don't take, so that you not only understand the legal process ahead of you but the basics of San Diego injury law and your legal rights. 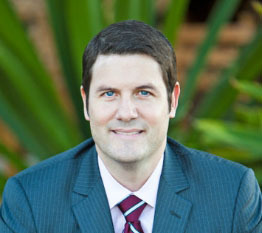 Since 1999, San Diego attorney Mark Blane and his team have been dedicated to protecting the legal rights of injury victims throughout California. 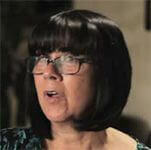 They are committed to giving each case personal attention, compassion, and aggressive advocacy. So what do my injured clients really want to know and understand? 4. Mark, what do you mean my private health insurance plan is like a "glorified loan" that must be paid back at the time we settle my personal injury case?!? We are also proud to serve San Diego's Spanish speaking population and even offer our FREE California personal injury book en Español. Before You Speak to any Claims Adjuster or Attorney About Your San Diego Injury Case, Order Our FREE Legal Help Books Through This Website!